This all-feather organization has your best interests in mind. This was the second time I had the privilege of speaking to the group. 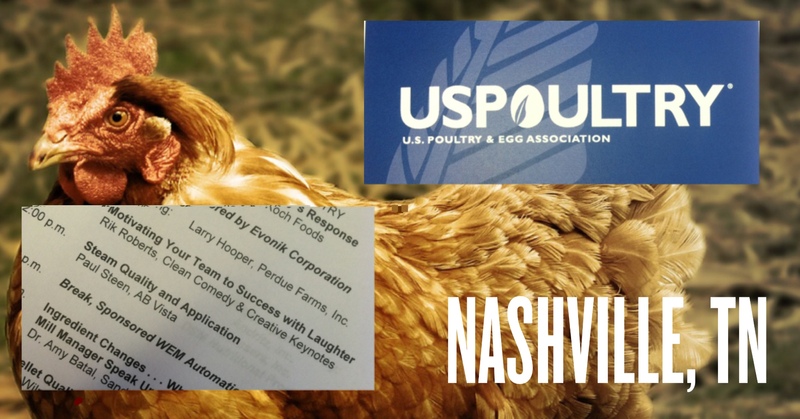 With feed mill managers coming from all across the US, this seminar helps update the members on new regulations, developments and quality control steps. I was happy to infuse some humor showing how a light hearted moment around the work place can increase productivity, facilitate problem solving and make work a place you want to be. Thanks US PULTRY & EGG! This entry was posted on Friday, March 18th, 2016 at 8:42 pm	and is filed under Association Events, Farming & FIfe, Fife & Farmers, Motivate Your Team with Laughter. You can follow any responses to this entry through the RSS 2.0 feed. You can leave a response, or trackback from your own site.